Touch Screen Karaoke Jukebox Hire That Plugs Into Your Tv System. 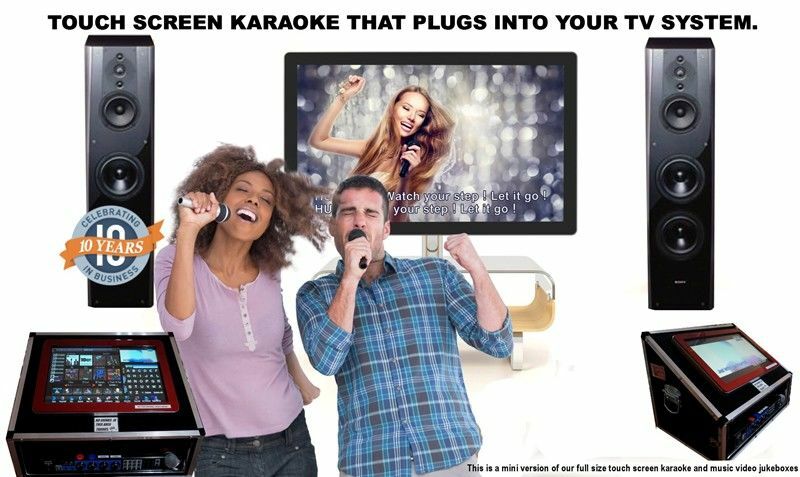 Looking for a Touch screen karaoke jukebox that can plug into your tv ? Our mini karaoke jukebox has all the songs as it’s big brothers but comes in a small package to connect to your tv and sound system. Loaded with 1000’s of karaoke tracks and original videos this machine will guarantee you hours of fun. System comes with 2 microphones and 1 effects light. We can supply speaker if required.